As a creative professional, personal branding is key. Just as your portfolio is an important factor in showcasing your skills and creative point of view, what you wear kind of does the same. Your style reflects your personality and how you express yourself. And while the culture at agencies, creative spaces, and startups may lean more towards laid-back than anything else, you still want to be perceived as professional. 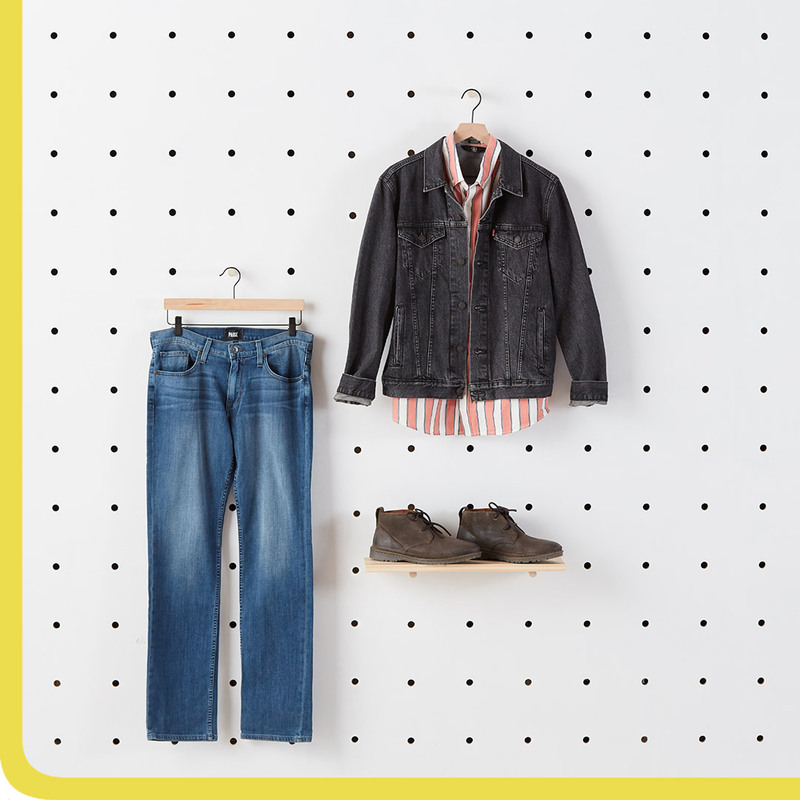 Below, we’re sharing key pieces for a capsule wardrobe that balances a relaxed feel with the right amount of polish. When creating, the last thing you want is for your outfit to distract from your process. It’s important to begin by identifying what you feel most confident in, and then taking it from there. If denim is your thing, embrace it. Just remember: Your end goal is to put together an outfit that visually illustrates your ability to think outside the box. 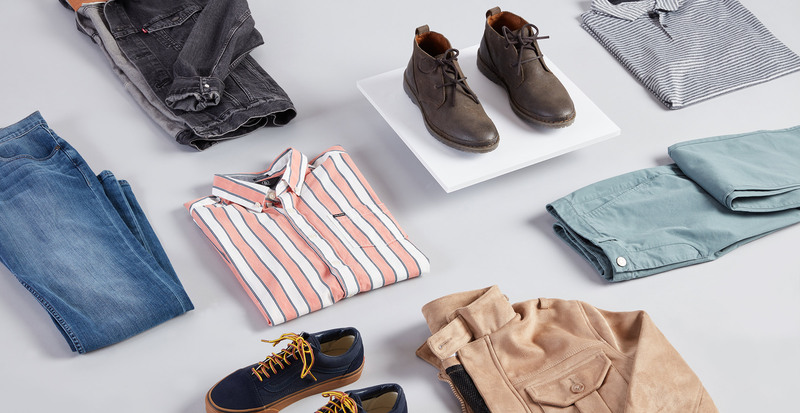 Doubling up on textures, incorporating a variety of different washes, or adding a bold pattern are all fun ways to put a personal touch on an otherwise basic outfit. For more important days, you’ll want to set yourself apart. The general outfit formula from above still works, but you’ll want to refresh your look with a few trend updates. We suggest sticking to classic silhouettes and using unexpected hues to let your confidence shine through. 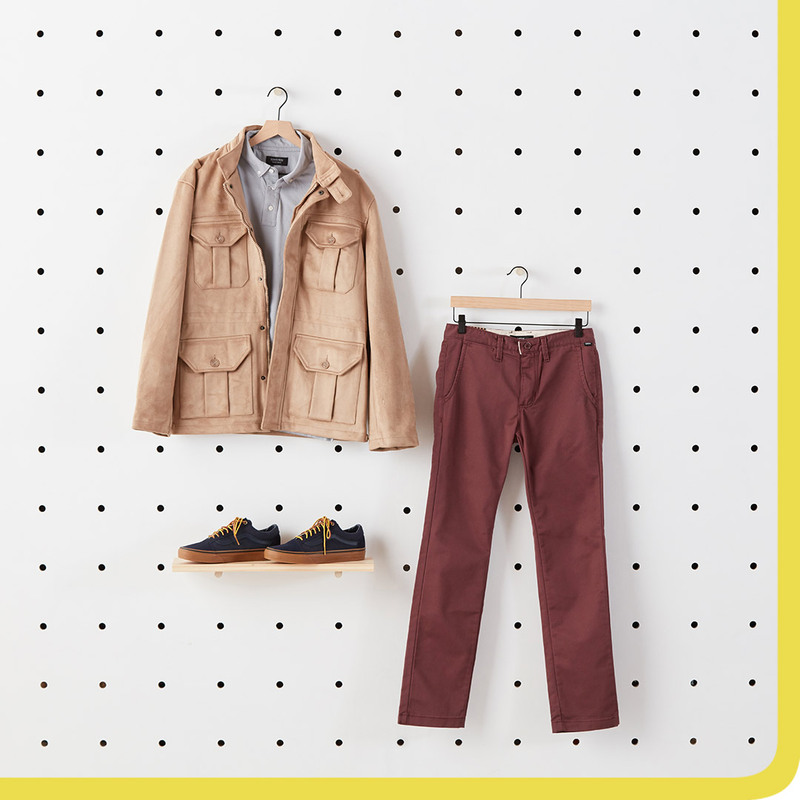 A pair of colored chinos instantly brightens up the look, while a structured jacket in an earthy tone keeps it from feeling too over the top. As long as your outfit incorporates professional elements like a button-down, there’s wiggle room to get creative.